Asslamualaikum and good day to all of my lovely readers. My daughter has been affected by a mild diarrhea since last Saturday. It was first happened during our lunch+tea time at Chili's KLCC. All of a sudden, her dress were full with poops and it was runny and yellowish (do not attempt to even try to visualize it). Thank God i did bring an extra 1 set of shirt and pants so we went to the changing room near Mothercare and have her nappy and clothes changed there. It was still okay at that point of time. We thought it was just a normal poopy time since she pooped once almost everyday and it was usually at the point of time. (Yes most mommies know their kid's poopy time. Haha). Then, the next day she pooped like crazy, every few seconds after nappy change and i did counted we had to change almost more than 6 nappies altogether in one day. But she is still drinking milk so it is not really a negative sign as yet. I did my mother's instinct (each time whenever she's not well, i always google and i know this is NOT the right thing to do but i always like to prepare myself on what should i do and not do at the early stage) and most of the articles in Google said that if the baby is producing blood in stool, mucus and the fontanel is sink in that should be alerted as an emergency and we have to bring her to the ER immediately. 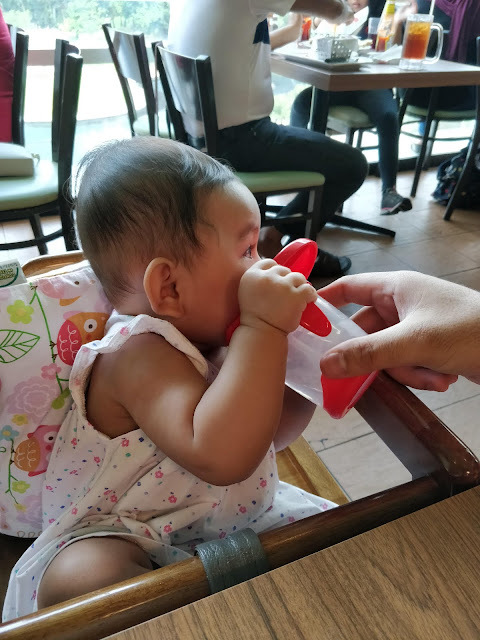 So far on Sunday, although she's been pooping all day long but she's still drinking her milk and she does not have any dehydration signs at all. Good girl! Hehe. But, the only thing that would be affected is her nappy rash bum. Since she's been non stop pooping, of course her bum would be red and eventually become a nappy rash. We never had any problem with nappy rash before so, we do not have any experience and no nappy rash cream/ointment on hand. Wanted to purchase one but totally forgot. 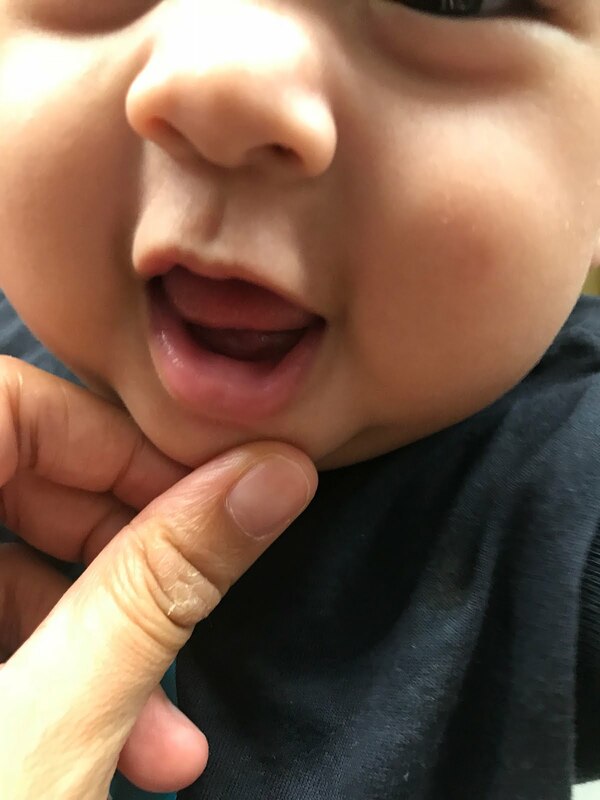 Oh yes, she is also teething now. So on Sunday night, she was totally out of control, crying like mad because of the nappy rash. So mothers and fathers, please do have nappy rash cream on hand at anytime and anywhere. Better yet, please apply nappy barrier cream after each nappy change. Even if your kid does not have any nappy rash. This can be prevented earlier if we actually purchase a nappy rash and apply it. 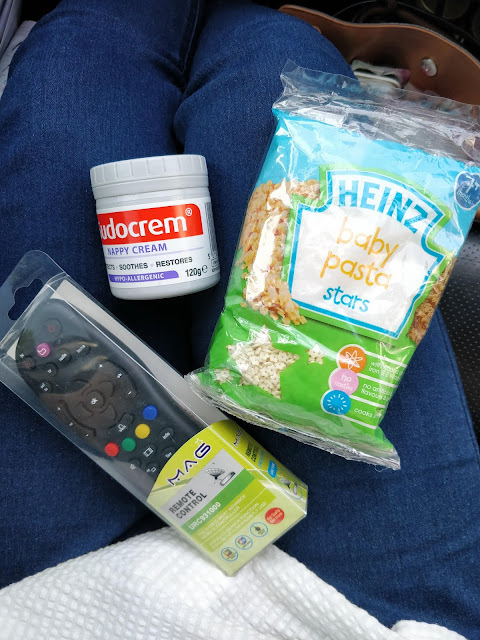 So, we have to go to the clinic at 4am in the morning just to get a nappy rash cream in which, the clinic turns out to give is a Hydrocortisone cream. I googled (like all mothers would do before giving meds to their babies) and it said that this cream contains steroids. OMG! But that would be the only choice for now so we did applied once and she was okay after that. Like, instantly she can go to sleep peacefully. Nappy Rash would take time to heal. Some say it might take from one to four days to heal. All you need to do is to be a little more than a perfect mother. Change the nappies constantly right after the daughter poops or wee wee. To maintain the bottom dry and smooth so that the baby is happy. That is why, having nappy barrier cream is a must for all new parents. Hehe. We actually went to PCMC emergency (since Marissa's paed is fully booked) and they prescribed her a QV Barrier Cream, Oral Solution and also Dentinox. We only use the QV Barrier Cream and it works wonders. I did asked around my girlfriends as they have more experience than me on this matter, and they said they use Sudocream to treat nappy rash. I googled, there are few good brands such as Bephanten Ointment, Earth Mama Angel Bottom and so on but we now stuck with QV Barrier Cream as of not. Once that cream finishes, i have bought two tubs of Sudocream and we will be using that. Just that i love QV Barrier cream cause it is quite hygienic as it is in a soft press tub instead of Sudocream. Sudocream packaging is in a tub and we have to scoop the cream instead so i think it is less hygienic.